I believe they were bought by Greatwide, their trucks started sporting the logo. A short time later they kind of disappeared. I came across this shot taken 11/10/07. The tractor actually sports three names, Greatwide\Dallas and Mavis and MTI. This was taken when Hank came to Pittsburgh for a week and I took him around the Youngstown and western PA area on Saturday. I can't believe that was over five years ago already. 2007 seems just like it was yesterday. It was a pretty good year for me, as I remember it. Can't say I recognize this fleet, but the logo looks familiar. A little background of their demise. From the Grove City Historical Society. 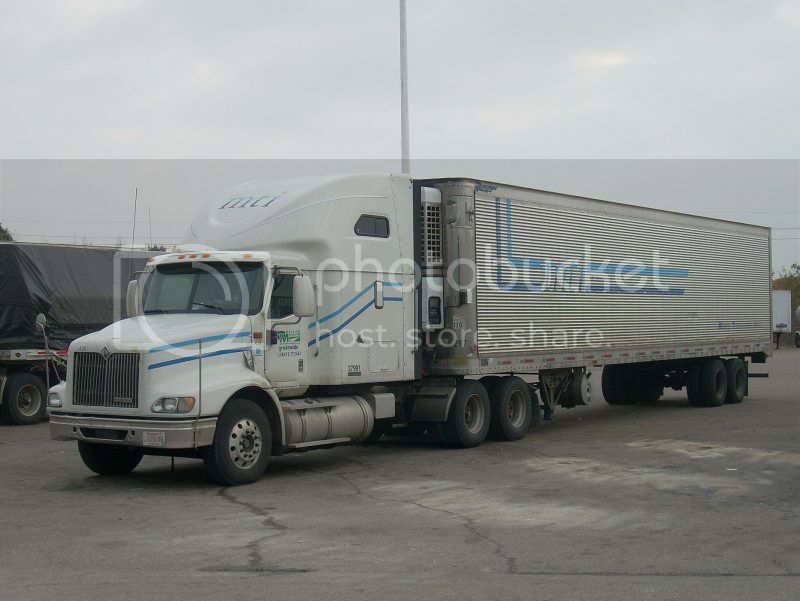 Blaine LaVelle Hovis Sr. founded Hovis Trucking Co. in 1952. Blaine Hovis was born Aug. 9, 1924, in Pearl, Venango County. During WW II, he served in the Air Force in the European theatre from 1944-46, flying 33 missions across Nazi-occupied Europe and Germany. In 1952 Hovis established the Hovis Trucking Company. 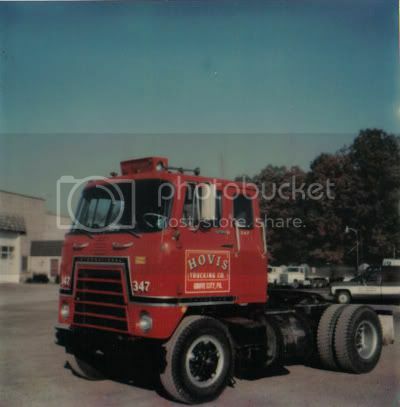 On July 1, 1971 Hovis incorporated and became Milk Transport Inc., Grove City, with Blaine Hovis as President and Priscilla Perna as Secretary. Upon Blaine Hovis retirement, the management of the company was assumed by his daughter Priscella and her husband Lou Perna. The business continued to operate until 2009. I took the following pic something in 2003 around Sherbrooke Qc. It was the first and last time I have seen a truck from this company. 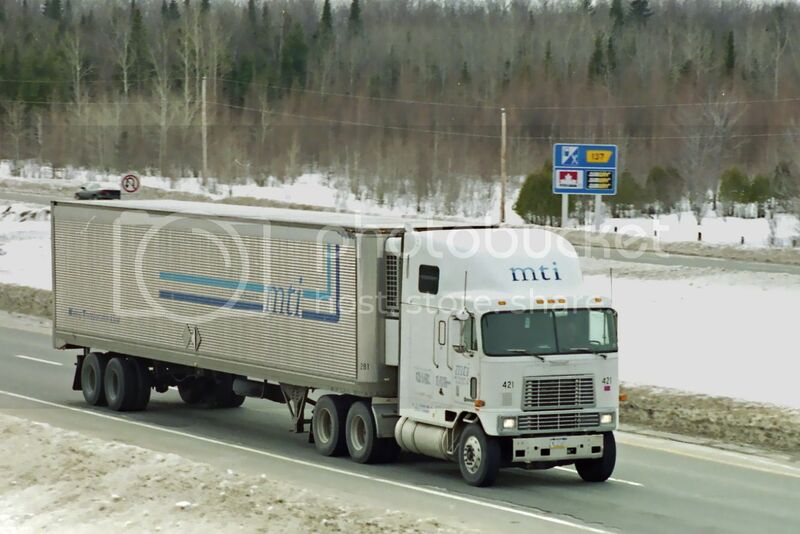 I did't know what MTI was for until Paul Kane gave me the information early this year. Excuse me, my memory have played a trick on me again, this pic was taken in February of 2001. I am surprised to find this discussion. Blaine Hovis was my grandfather. That business was in our family nearly my entire life. My dad worked there his entire life. I am not comfortable sharing the details publicly of what happened. One of the persons mentioned in the above quote stole money, a lot of money, and it wasn't my grandfather. We would not have made it through the economic downturn of 2009, it had to happen sooner or later. I work for Pitt Ohio now and hope to make enough to one day start the business back up. It is something I carry with me every day. I will post more pictures when I have time. I going to guess this is around 1975 based on the Chevy truck in the background.